So, I'm working on a blanket for my third child arriving sometime early May. I've also got a headwrap planned made from the same pattern as the blanket once I finish! 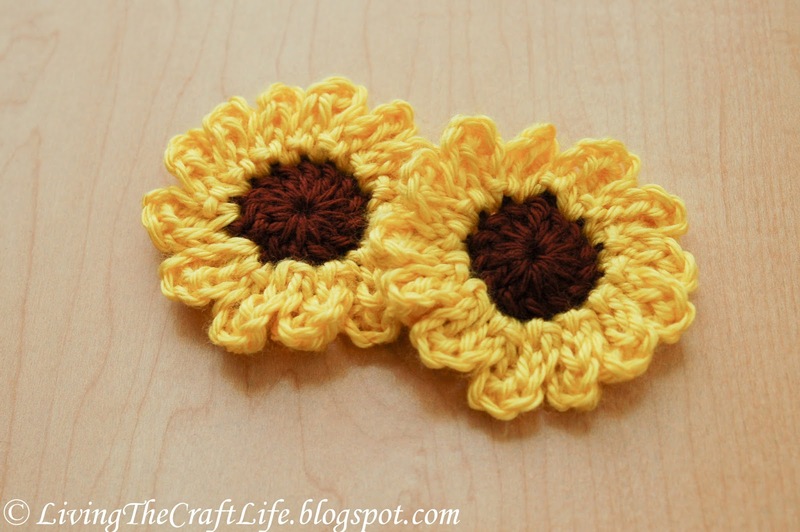 Meanwhile, I decided to post my little sunflower pattern that I use to make hair clips. Works out to be 3 inches across with materials listed. 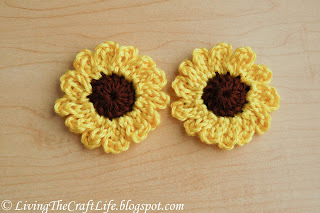 Row 2: Attach yellow anywhere, (ch3, Tr, ch3, sl st) in same dc. Then (sl st, ch3, tr, ch3, sl st) in each DC around. Fasten off. I added a couple of stitches to make my petals more pointy at the top. After the tc, ch1, sl st into top of tc, then continue with the ch3.